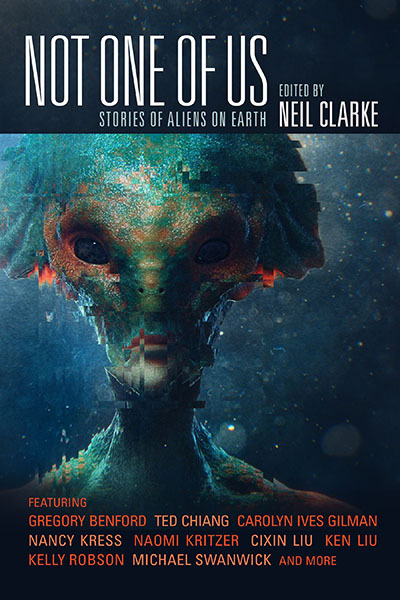 I must confess that this caught my eye based purely on the cover (cover art by Jacques Leyreloup), but the selection of authors and stories included in the anthology also sound pretty darn amazing. This is definitely going on my wishlist! Science fiction writers have been using aliens as a metaphor for the other for over one hundred years. Superman has otherworldly origins, and his struggles to blend in on our planet are a clear metaphor for immigration. Earth’s adopted son is just one example of this “Alien Among Us” narrative. Nearly thirty authors in this reprint anthology grapple both the best and worst aspects of human nature, and they do so in utterly compelling and entertaining ways. Not One of Us is a collection of stories that aren’t afraid to tackle thorny and often controversial issues of race, nationalism, religion, political ideology, and other ways in which humanity divides itself. 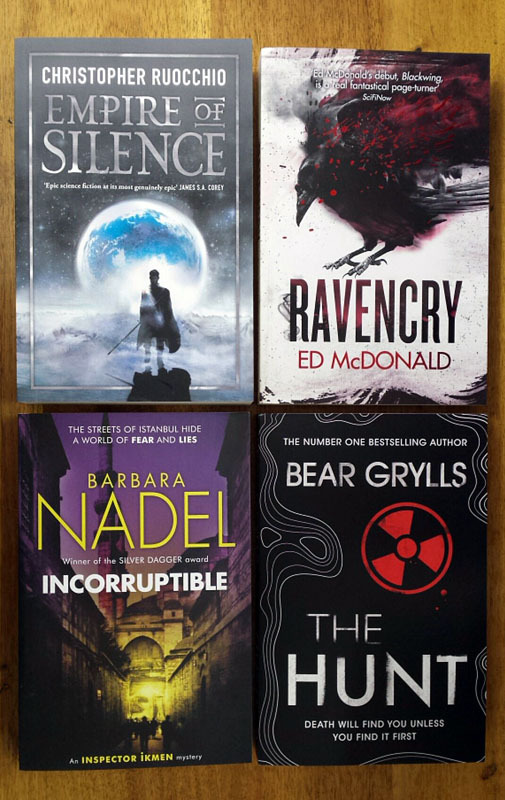 What better way to start a new month than with new books! I've been really good at curbing my book buying, but after a truly stressful few weeks I caved and placed an order for a couple of books. The promise of an unexpected tax rebate allowed me to spend a bit more than I was initially intending, but I'm still way below the 64 books I bought last year (currently sitting at just 14 for the year) so I'm still calling it a win. First up are some books I ordered from Reader's Warehouse. I picked up The Obelisk Gate by N.K. 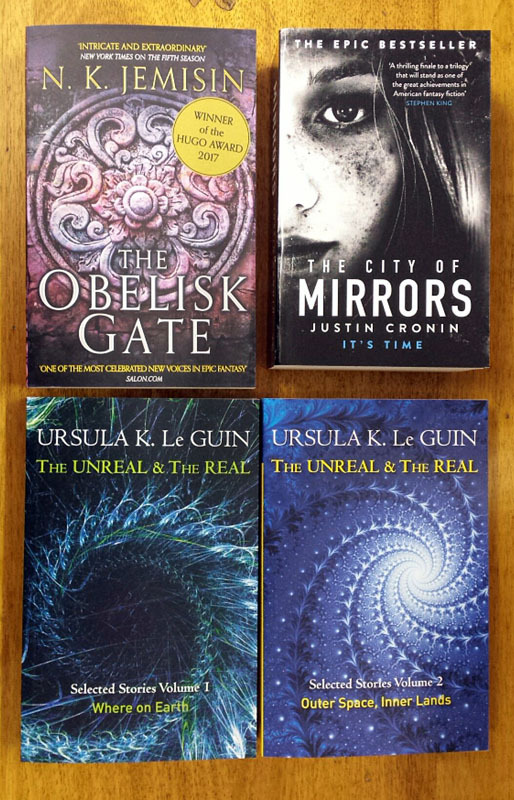 Jemisin, The City of Mirrors by Justin Cronin and the two volumes of The Unreal and The Real, a collection of short stories by the late Ursula K. le Guin. 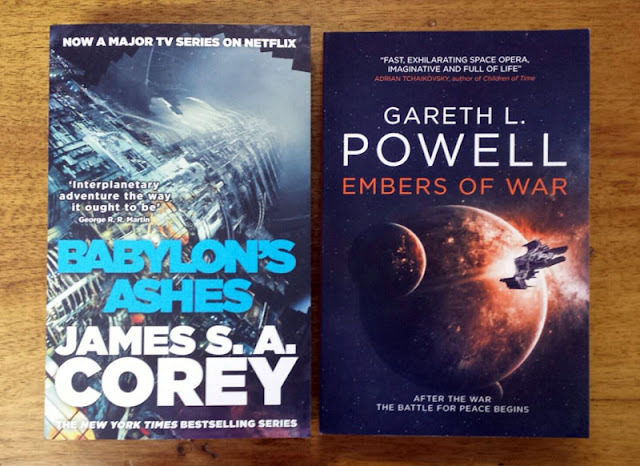 And for my science fiction fix I got Babylon's Ashes by James S.A. Corey, the sixth book in the Expanse series and Embers of War by Gareth L. Powell. The awesome folks at Jonathan Ball publishers once again blew me away with a selection of books for review that are simply to die for. 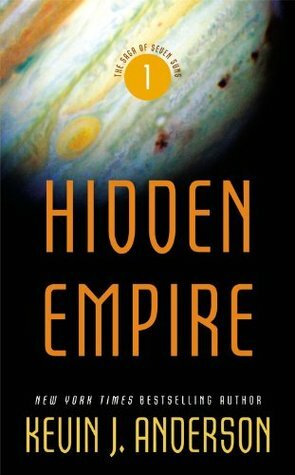 I'm extremely excited for Empire of Silence by Christopher Ruocchio it promises to have all the space opera goodness I love. I'm going to have to track down the first book in Ed McDonald's Raven's Mark series before I can get to Ravencry, but that cover is just amazing. And lastly, for those times when I need a break from SFF there is Incorruptible by Barbara Nadel and The Hunt by Bear Grylls.